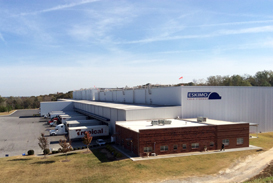 Eskimo Cold Storage handles all types of frozen foods ranging from poultry to seafood with the ability to blast freeze products and have ready for shipment the next day. With a focus on customer service made evident by 24/7 availability, Eskimo Cold Storage also offers exporting and real time inventory tracking. A company built on decades of experience and a love for the industry, Eskimo Cold Storage employs the latest technology to deliver the highest quality service.